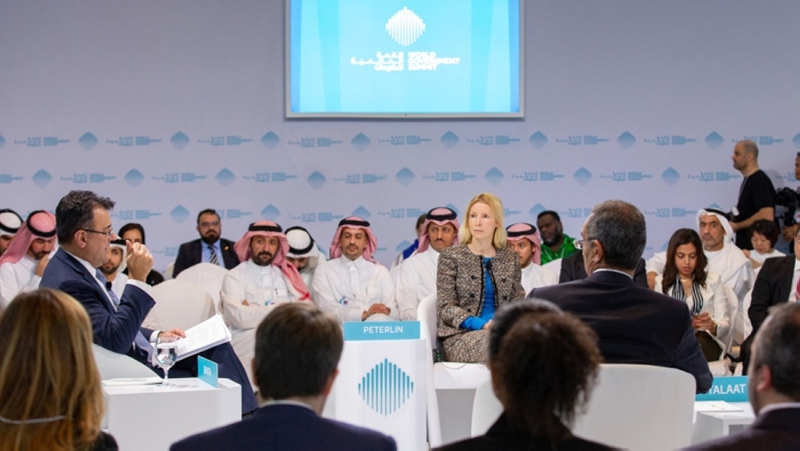 Muscat: Improved public and private partnerships for the holistic benefit of the technology sector are crucial for governments across the world, advised a panel of thought-leaders at the seventh World Government Summit (WGS 2019). The panel titled ‘The Future of Digital Policy’ was hosted in partnership with Google at WGS. Speakers at the panel included Dr AmrTalaat, Egyptian Minister of Communications and Information Technology, Karan Bhatia, Vice-President, Global Public Policy& Government Relations, Google, and MargaretPeterlin, Senior Vice President, Global External and Public Affairs at AT&T. The discussion was moderated by CNBC’s Arjun Kharpal. Opening the discussion, Karan Bhatia said that although the last decade has been “extraordinary” for the technology sector, almost half of the globe’s population are still not online, and the problems associated with the gap will become more pronounced in the coming years — a situation that needs addressing now. “We are standing at the dawn of an exciting new era – the question isn’t if AI will transform, it’s how fast it will transform,” he added. He also outlined how there has been a blurring of lines with technology companies having an increased digital footprint, describing how Google itself has evolved from a search-engine to a cloud company. Margaret J.A. Peterlin, Senior Vice President, Global External and Public Affairs at AT&T, underlined how AI should be delivered by people, for the benefit of people. She said that although AI is an important development, it should be harnessed within ethical guidelines while remaining aware of its potential cautions.